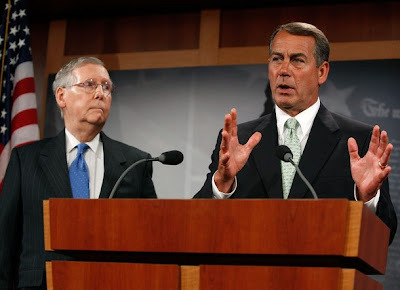 Newsifact: John Boehner denies alcoholism in impassioned speech. John Boehner denies alcoholism in impassioned speech. Republican House Minority Leader John Boehner gave an impassioned speech on Wednesday dismissing as false persistent rumors that he is a secret alcoholic. "I have an illness that precisely mimics the effects of alcoholism," said the Republican "From the reddish skin, to the gaunt appearance, to the slurred speech, to the glazed and unfocused eyes - this rare illness makes innocent sufferers appear that they are alcoholics when in fact they are not." Boehner declined to elaborate on any precise details with regards to this "rare illness" but explained that "the disease even produces bacteria in the mouth that produce a strong alcohol-like smell that scientists say resembles the odor of something known as 'Jack Daniels'." 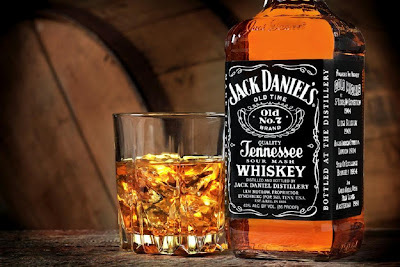 The US Representative also added that doctors had advised him that these bacteria in his body were strongly susceptible to large doses of ethanol and that he had been ordered to drink vast quantities of whiskey in order to defeat the disease. "Normally, this is something that I would never do, but I must follow doctors' orders. This ethanol medicine appears to be the best way to beat this thing, and I am doing my very best to increase my intake. I am asking people to please be tolerant of my appearance during this fight." Never mind the bizarre crying spells on the floor o the house, the glazed blood shoty looking eyes, the red skin and the erratic behavior, everytime I see & hear this guy I think alcoholic. I am told his fellow Republicans help cover up his alcoholism because it gives him more gumption to speak that one would ordinarily have. In any case, he is a disgraceful "representative" of the people and the people of Ohio must be nuts to keep him in office. He is an emabrassment to all of America. Right on Woody...I totally agree with you. Found this blog...was surprised its 2 years old!!! Boehner has 'alcoholic' written all over him. I agree with Woody - forget all the physical signs of alcohol abuse. His temperament gives it away time after time - classic belligerent alky. Boehner will have what the gentleman on the floor is drinking. I have a brother who shows all the signs of alcoholism, only now his skin is grey, his legs have not an ounce of fat, you can see the tendons. His belly is bloated larger than a woman 12th months pregnant. But he'll tell you, he drinks water with lemon in it. He says he's fat and needs to diet or, alternately, he's just got a gas problem (we know it's his liver). Maybe he and Booehner should discuss symptoms. In addition to being an alcoholic, Boehner is lucky if his IQ tops 94, the national average. He is obviously not the brightest light on the lamp post...like all republicans. I can under stand the need for a man to drink, (that is if he does) when you are around people like Pelosi, Boxer and Feinstein. I run a company with over 300 hundred employee's and need to drink a fifty of Wild Turkey everyday. Yes my company is still holding our own even in these times. How about the amounts your employees need to drink to put up with you? Get a life! I bet your company would do way better if you weren't skimming the top for your "fix"! Just kidding, it doesn't cost that much, but you get my point. A lot can slip away while you nurse a hangover! Problem with strong, competent women, huh? I feel for sorry for them that they have to deal with a pompous loser like Boehner, who's an embarrassment to the office he (unfortunately) holds. Maybe if you didn't partake of a 'fifty' (do you actually mean fifth?) you'd know that understand is one word, there's no apostrophe in a plural noun (like employees,) and every day is two words. Also, if you say 'my company,' it's improper to then say 'our own.' John Boehner clearly drinks, but I can understand the need for a man to find no fault with the inappropriate, unprofessional behavior of another. It sounds like you'd get on well with ol' John, given your shared animosity for Nancy Pelosi, et al. It's no wonder since, in addition to actually doing good things for the country and not showing up drunk to work, I hear they have excellent grammar skills. by "these times" I guess that guy means the post Bush MESS. I am not a John Boehner fan, but I watched the piece on "60 Minutes" this Sunday past. Unlike Mr. Boehner, I have an alcohol issue, so I know a little bit about alcoholism. 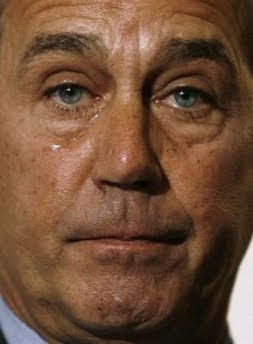 When I saw Mr. Boehner weeping on TV, it seemed out of place, unless he was under the influence of a mood altering substance. Not knowing any of Mr. Boehner`s history, I searched "John Boehner alcohol" and this is where it brought me. Hello Mr. Boehner, my name is Greg, and I`m an alcoholic. Greg, God Bless You in your recovery. John Boehner can go to hell. I only meet Mr. Boehner once at a fund raiser for a local representative. He was the guest speaker. It was an embarrassment how drunk he was. Back during the Reagan years, when it was fashionable to have a military service record, John Boehner was claiming he had "served" in the US Navy during Vietnam (1968). In fact, he once had it listed on his congressional bio. Sadly, Boehner, as usual, is always the fraud. As it is a felony to fraudulently claim military service, and one had to have at least six months active duty to do so at that time, Boehner's having made it only HALFWAY through Navy boot camp - getting kicked out for bedwetting - didn't qualify him to claim ANY military service. Really, Bedwetting? That's how you honorably serve your country? I think I need to verify this, but man, if it's true, it will be a field day! I want to see the spin for this! Boehner drinks like a pig. How many of us can drink on the job, work 120 days a year, get nothing accomplished and get paid 200 grand a year?